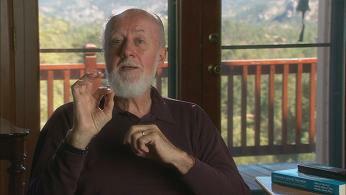 Scientist and Author Fellow to the American Academy for the Advancement of Science, Professor Emeritus William A. Tiller, of Stanford University’s Department of Materials Science, spent 34 years in academia after 9 years as an advisory physicist with the Westinghouse Research Laboratories. He has published over 250 conventional scientific papers, 3 books and several patents. In parallel, for over 30 years, he has been avocationally pursuing serious experimental and theoretical study of the field of psychoenergetics which will very likely become an integral part of "tomorrow’s" physics. In this new area, he has published an additional 100 scientific papers and four seminal books. For the last four hundred years, an unstated assumption of science is that human intention cannot affect what we call "physical reality. "Our experimental research of the past decade shows that, for today's world and under the right conditions, this assumption is no longer correct. "We humans are much more than we think we are and Psychoenergetic Science continues to expand the proof of it." Soon you'll be able to leave comments! Also, stay Tuned For Our Upcoming Launch: TO ANNOUNCE!